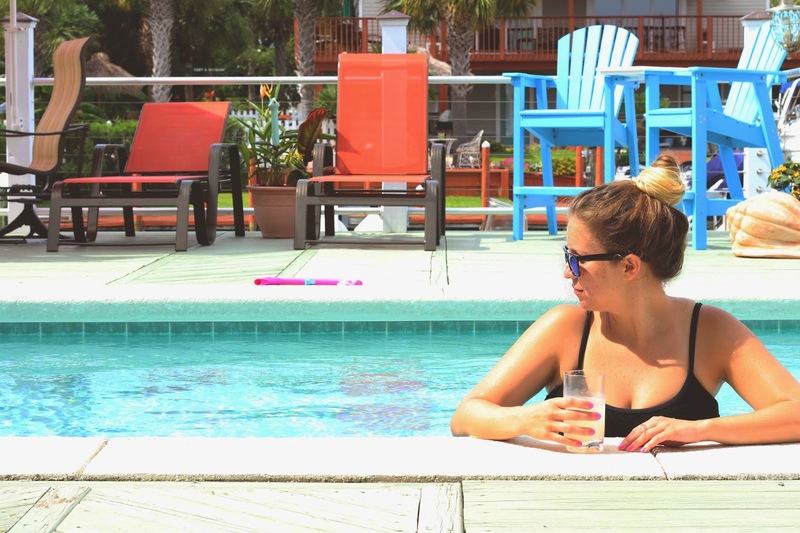 This week Savannah and I are living the life of the rich and famous. We are staying in a nearly million dollar home that has a huge & fancy yacht and that has access to a private beach. The beach is 0.2 miles away but we have a golf cart to tote us there everyday. Oh and they have a pool, paddle boards, and 2 scooters. No big deal. My entire family is able to stay here for free because all of these things belong to a friend of my cousin. I've been joking all week how much I'm going to hate going back home because I'll have to go back to a much less luxurious life. Savannah and I have been aiming to live a more simple life and to have less things, and this place is the complete opposite of that. Honestly, it's hard not to get sucked back in- to not want more things. 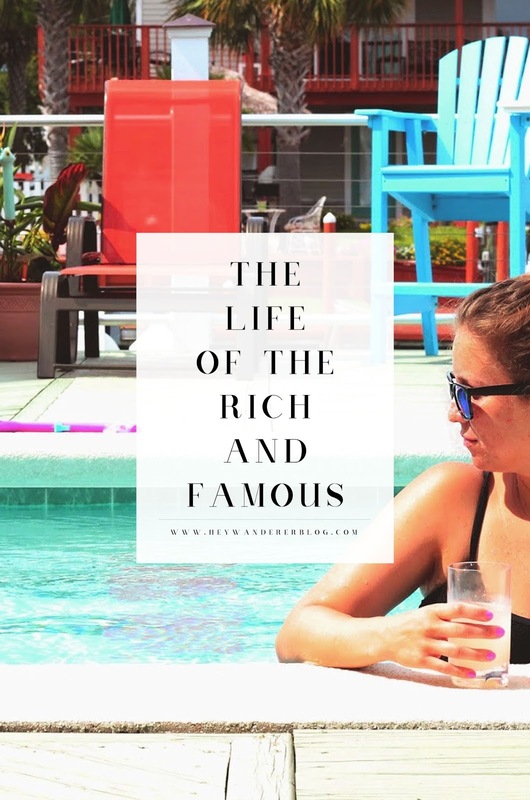 As we were floating in the ocean next to a yacht that cost twice as much as the house I live in, I though about how it's nice to benefit from someone else's wealth but not have to deal with the other crap that comes along with wealth." This week we are just getting a little taste of wealth, and then we will go back to normal. It occurred to me that while it seems nice to have all these things, the responsibility to maintain wealth must be daunting. The way my life is designed now, if I lost it all, I wouldn't have much to lose. I drive a paid off 2006 SUV and rent a house. I don't have much else of value, so I don't have far to fall. Yes, I have to worry about paying bills and all that, but really my bills are very manageable. I cannot imagine what it must be like to have so much wealth and to be concerned about losing it all one day. Sure there are ways to protect yourself, but nothing is ever certain when it comes to money. All of this to say, me and the owner of all of this stuff will only find contentment in the Lord. Money certainly doesn't buy happiness or contentment for that matter, but not having money doesn't get you happiness either. Our lives must be deeply rooted in Christ no matter how much we have to lose- because in this world, there is always something to lose. When we base our lives in being contented in Christ, nothing else matters. The only being we can depend on is God. He is always good. He is faithful and kind. He is endlessly merciful. So no matter what I have or don't have, my eyes must be on Jesus.